London, United Kingdom – Monday’s are rarely fun. But for British Prime Minister Theresa May and her embattled government, Monday, December 10, 2018 will likely go down as a particularly lousy day. It all started in the morning, when in a landmark ruling the European Union’s top court said the UK may unilaterally reverse its decision to leave the 28-member bloc prior to its scheduled exit on March 29 next year. By early noon, May’s already tenuous grip on Brexit appeared further weakened as whispers began to circulate that she would postpone a parliamentary voteon the widely criticised Brexit deal she negotiated with the EU, contradicting statements made by several officials earlier in the day. It was only a matter of time then before the uncertainty which has come to dominate British politics since the country’s decision to quit the EU in a divisive June 2016 referendum went into overdrive. When May finally announced that Tuesday’s vote was being delayed, acknowledging that her agreement would have been rejected, opposition MPs accused her of “losing control of events” and members of her own ruling party called on her to “govern or quit”. “The situation is utterly confused,” said Simon Usherwood, a reader in politics at the University of Surrey and deputy director of the UK in a Changing Europe group. “May won’t go; critics won’t press for motions of confidence or leadership challenges; and nothing has a majority in the House of Commons except a desire to avoid a no-deal Brexit, which is going to happen unless they can agree to something else – and they don’t seem to be able to do that,” he added. With May in a precarious position, Scottish First Minister Nicola Sturgeon said she will back the main opposition Labour party if it lodges a no-confidence motion on May’s rule, as it had threatened if the prime minister lost Tuesday’s vote. “This shambles can’t go on – so how about it?” Sturgeon tweeted at Jeremy Corbyn, the Labour leader. So @jeremycorbyn – if Labour, as official opposition, lodges motion of no confidence in this incompetent government tomorrow, @theSNP will support & we can then work together to give people the chance to stop Brexit in another vote. This shambles can’t go on – so how about it? In a statement later on Monday, a Labour spokesperson said the party would “put down a motion of no confidence when we judge it most likely to be successful”. A Labour MP, meanwhile, was ejected from parliament after picking up the ceremonial mace in protest against the government’s handling of Brexit. The flared tempers which raged throughout the UK’s corridors of powers seemed to spill outwards and across the road from the House of Commons to Westminster’s College Green. A small but raucous crowd of demonstrators spanning both sides of the Brexit divide descended on the small park and busied themselves making a commotion to rival the din which greeted May’s afternoon statement to parliament. Featuring a sidewalk preacher shouting “Britain needs God, not the European Union” and a Santa Claus imposter brandishing a pro-Remain sign, the gathered protesters were united in dissatisfaction over the prime minister’s approach to Brexit. “It’s disgusting that this is all still going on,” Catherine Ginn, a 54-year-old business owner, said. “May has chickened out of this vote because it’s clear she’s not going to get her deal through. But I don’t care about this deal, the only deal I care about is remain … Article 50 needs to be withdrawn,” she added, referring to the exit clause in the EU’s constitution. Nearby, standing in the midst of competing five-metre high Union Jack and European Union flags, 59-year-old retiree Tony Blighe was also unimpressed with the government’s efforts. “May’s deal is appalling because it puts us in a state where we could be put into a backstop position and can’t get out of it,” Blighe said. “She is well past her sell-by-date and we need a new prime minister – someone to stand up and say negotiations have failed and we are leaving on March 29 under World Trade Organization rules,” he added, referring to the economic terms under which the UK would trade with the EU in the event of a no-deal departure from the bloc. The rumblings inside and outside of parliament highlighted the lack of clarity over how May now intends to deliver a Brexit divorce deal. At the heart of the turmoil is the contentious “backstop” proposal, a safety net provision which guarantees no hard border being erected on the island of Ireland in the event post-Brexit trade negotiations between the UK and the EU prove unsuccessful. The clause proposes that the whole of the UK, including Northern Ireland, will remain in a customs union with the EU “unless and until” the bloc agrees there is no prospect of a return to a hard border. But critics argue that the measure could tie Britain into the EU’s orbit indefinitely. In her statement to the Commons, May pledged to seek further “reassurances” on the brokered withdrawal agreement from EU leaders before rescheduling a parliamentary vote at an as-of-yet unspecified date but no later than January 21. But in Brussels, EU leaders had none of it. Agata Gostynska-Jakubowska, a senior research fellow at the Centre for European Reform, said “It would be naive to think that the other 27 EU member states would be open” to substantial changes to the backstop and wider exit plan after months of fractious back-and-forth negotiations. “And any significant redrafting of the provision concerning Northern Ireland is unlikely because many EU capitals already see the final shape of the backstop as a compromise,” she added. 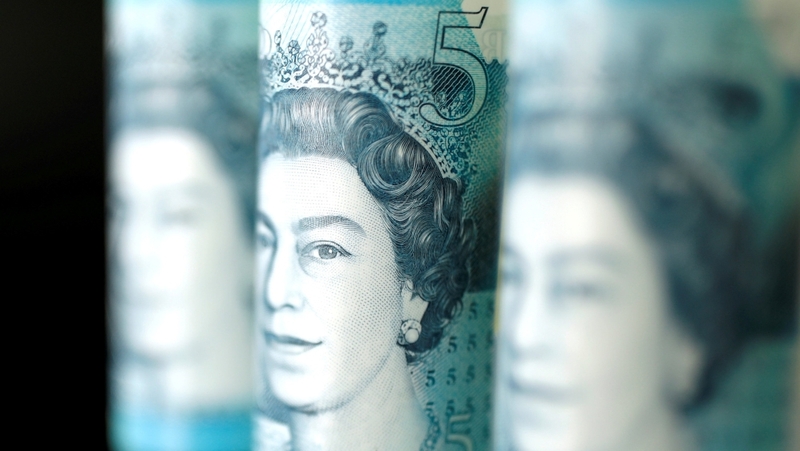 The political uncertainty spilled over into the economy, too, with the British pound sinking to its lowest level against the US dollar since April 2017. Market analysts said the plunge was caused by the heightened prospects of a no-deal Brexit, which the government has forecast could cause a potential economic slump of more than nine percent in Britain’s gross domestic product (GDP). “There’s so much risk right now, we could certainly see further falls depending on what May can do, or if she falls,” Neil Wilson, chief market analyst at Markets.com, said. “Businesses are very worried,” he added. But Gostynska-Jakubowska suggested that a spooked market could play into May’s favour and force parliamentarians to back her deal as the clock ticks ever closer towards the March 29 deadline. “If she decides to push for the parliamentary vote on her deal around January, when the financial markets will have become very uneasy about the possibility of a no-deal Brexit, then MPs who may have been willing to vote down the deal tomorrow will reconsider this,” she said. Back in Westminster, where the sun set on parliament as a truck laden with a paper mache image of May as a devilish Brexit monster trundled past College Green, confusion mixed with anger as Monday’s political chaos only served to exacerbate the growing uncertainty over what tomorrow will bring – and on what terms. 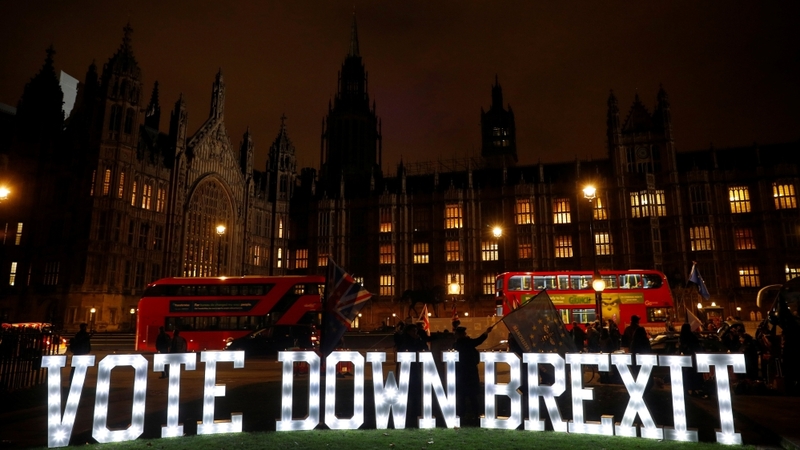 “There is potential for quite a big political crisis … parliament will not be settling down before Christmas,” said Maddy Thimont Jack, a specialist Brexit researcher at the UK’s Institute for Government, adding that the unrest did not “put MPs in the best light”. “We have been in complete paralysis for two-and-a-half-years with no significant legislation – nothing, just Brexit,” he said. “Many people, like me, want our country back from Brexit,” Bignardi added.